← And I’m back for 2014! I’m running the 2014 Long Distance Quilting Bee with my cousin Lisa. I took a break from it in 2013 but this year I jumped back in again. I’m glad I did, simply because making 1 block a month makes me feel like I’m doing something for myself (even though its really for someone else) while not creating copious amounts of projects that might stress me out or cause more work in the long run. I designed this block myself, and am pretty happy with how it turned out. 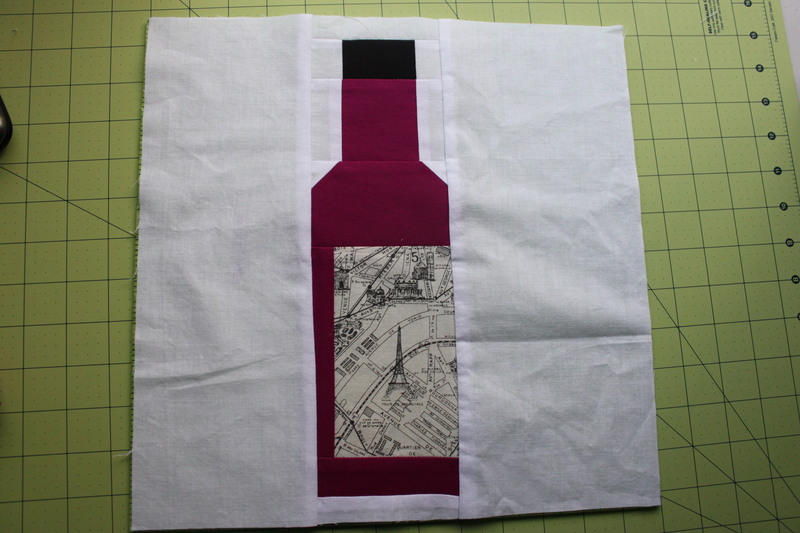 I’m not planning on making many wine bottle quilt blocks in the future but if I were I might try a different technique to give a skinnier slope of the bottleneck.